Ranchland Estates is located in the Nicola Valley, in the heart of British Columbia’s Thompson Okanagan region. Bordered by a 2600 acre working ranch and 12,000 acres of open rangeland, Ranchland Estates offers country living within close proximity of urban centres. One of the last opportunities to own open range acreage this close to the Lower Mainland, Ranchland Estates provides a sunny, dry destination within 2 1/2 hours of Vancouver. In fact, Ranchland Estates is as close as you can get to the Lower Mainland and live under the clear blue sunny skies of the dry Southern Interior. Major highways provide direct, year-round access from Vancouver, Calgary and other urban centres while regional airports in Kamloops and Kelowna connect Ranchland Estates to local and international destinations. 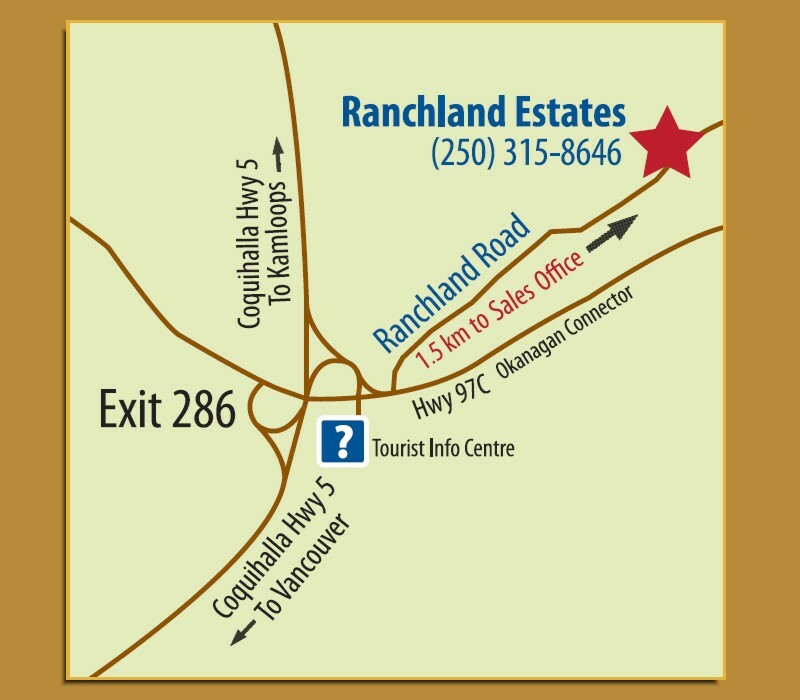 Access to Ranchland Estates is by Ranchland Road which is located at the start of the Okanagan Connector. Small city amenities are available 10 minutes away in Merritt. The Merritt Airport has a 4000 ft, asphalt runway and is located on the north edge of Merritt within a 10 minute drive from Ranchland Estates. The coordinates are N50 07 22, W120 44 50. 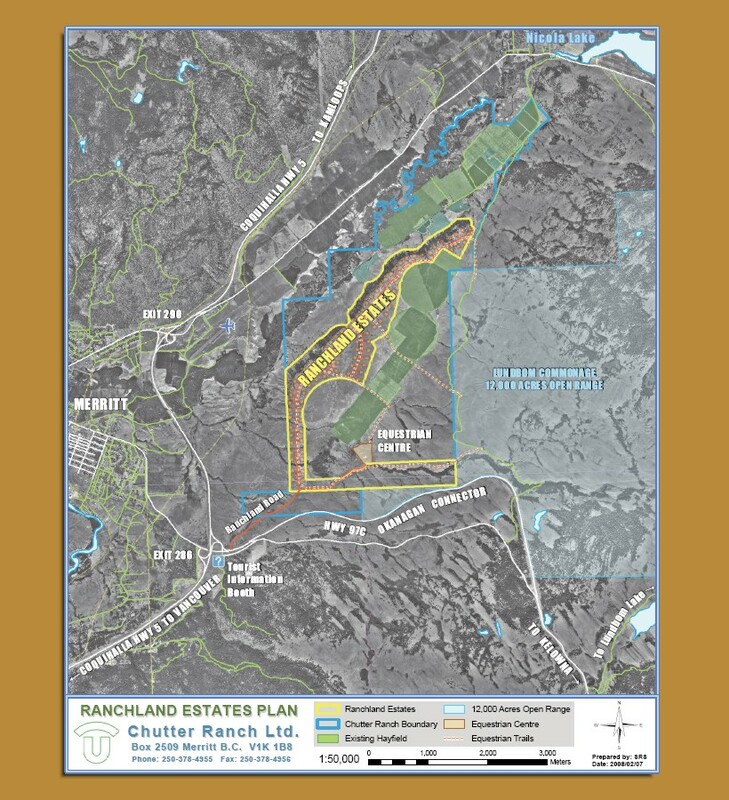 The location can be seen on the Ranchland Estates Plan map below.